Rose Marie Vargas is the new team captain of the FEU Women's Volleyball Team for the UAAP Season 74 Volleyball Wars which will start on November. She will be joined by the other players who are in the picture below. My reader "Ash" gave me their names. Thanks Ash. It's NOT YET FINAL according to Rose Marie Vargas. "Shaq" as assistant coach? hmmm..who will handle UST? asan n c mumay?? c shaira?? ang liliit naman ng mga players. c eulalio lang mejo mataas. wla na bang makuhang matatangkad na players? kaya 'di na nagcha champion ang feu eh. 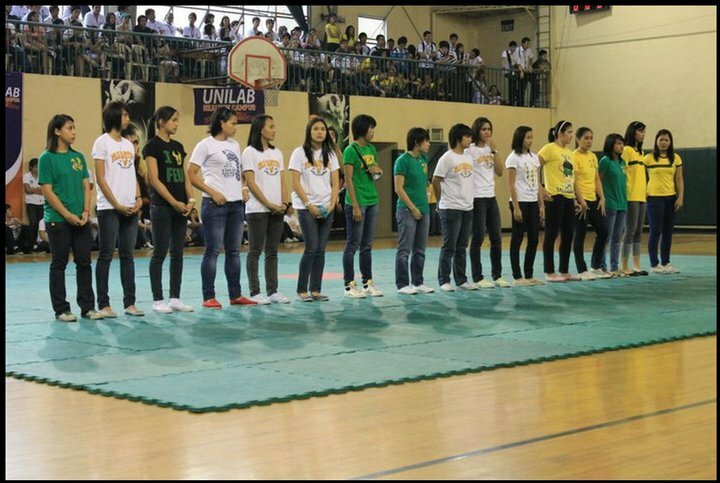 sayang love ko pa naman ang feu team during rachell ann daquis era. i miss daquis so much in the games. im from aklan.. im also a volleyball player in my school, #01 fun aq ng lady tamaraos.. pangarap kung mkapglaro UAAP.. with the team of FEU ..i hope sana makapasok aq. after i graduate in highschool..